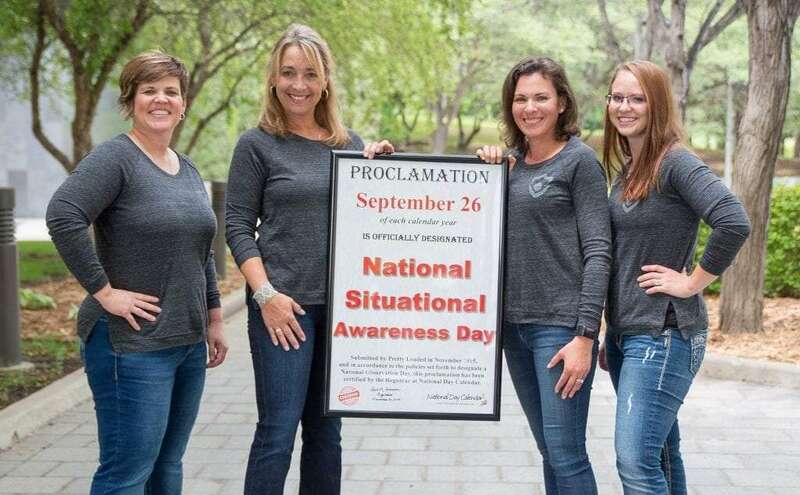 We are excited to announce the first ever National Situational Awareness Day will be September 26th! This day was approved by the registrar of the National Day Calendar and was submitted for acceptance by Pretty Loaded. Situational Awareness is a skill that everyone can use immediately to improve their personal safety. You are in your driveway washing your car and you happen to look up and see two young men dressed in black with rifles in their hands and they are headed your way. These armed men are only 30 feet away so you have little time to make a decision about how to handle this potentially very dangerous situation. Please take a few minutes to keep reading. We’ll help you come up with a plan. The men are talking with each other and seem to have a relaxed gait even though they are carrying rifles. They are not looking directly at you. Always get out of any area that involves a suspicious person and make sure you find a location where you will be safe. It is better to take the time to think about what is going on after you are away from the possible threat. We will discuss what happened in the real story later on. Situational Awareness is one of the keys to help you and your loved ones remain safe when confronted by a predator or any general personal safety threat. You have an opportunity RIGHT NOW to build that plan of action. Be in a general relaxed state of alertness with no specific focal point. You are not looking for anything or anyone in particular; you simply have your head up and your eyes open. You are difficult to surprise, so therefore, you are difficult to harm. Look for anything that seems out of the ordinary. Watch people’s eyes, hands and body language. Pay attention to 30-50 feet all around you since you will have enough time to move and get away if you need to. How did this true scenario turn out? The person was smart enough to run in the house and make sure all the doors were locked and dialed 911. The police came 10 minutes later and the young men were actually playing paintball with paintball guns that looked surprisingly real. If this event happened to someone that was not paying attention and they looked up at the young men with real rifles a few feet from them it may have ended differently. It’s very important to have time to assess the situation so you can make better decisions. It’s also important to educate your children to not walk around with paintball guns or any toy gun that looks real. In a dangerous situation, being aware of a threat even a few seconds early may keep someone safe by giving them time to act instead of react. The lack of or inadequate situational awareness has been identified as one of the primary factors in accidents attributed to human error. Although situational awareness skills seem to be lacking in modern society, our ancestors used these skills to survive. It has been extensively taught for decades to law enforcement and the military, but it is not exclusive to them. Most safety experts agree that situational awareness is the number one skill to learn for the safety of everyone. Situational Awareness Day highlights the importance of using situational awareness skills in every day life to stay out of harm’s way. Harm may come in the form of walking in front of a moving car or that of an assailant, both of which can happen from any myriad of distractions which cause one to not be aware of the surroundings and situation. The date of September 26th was chosen because it is the birthday of Dru Sjodin, one of the inspirations to start Pretty Loaded. To spread awareness of this important day, use #NationalSituationalAwarenessDay on social media platforms. Discuss its importance with those around you. Be human again and pay attention to the people and events happening around you more than you pay attention to modern day distractions. Situational Awareness is celebrated once a year and practiced 365 days a year! 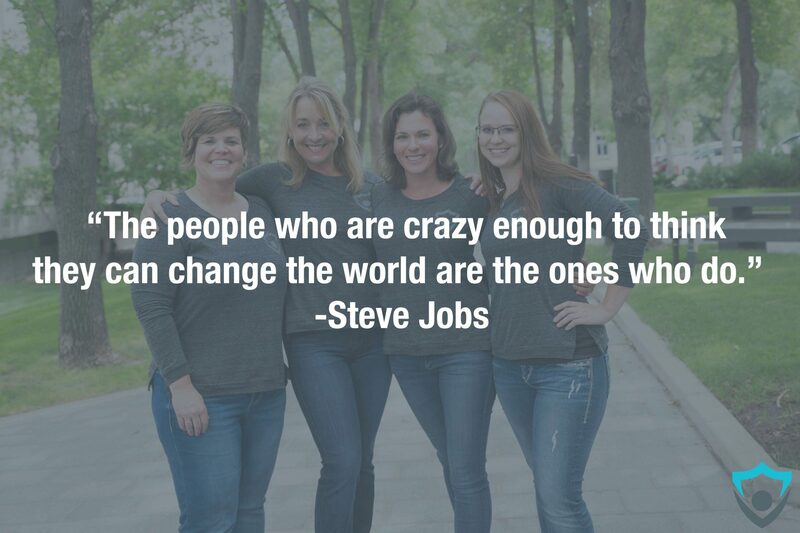 Thank you for all of the support we have received from all over the world! When you share our blogs and videos, YOU are helping to save lives! We want you to know that we greatly appreciate all the support from the Pretty Loaded community worldwide! Kudos to Beth and her group for suggesting this awareness campaign! I am looking forward to sharing in the event on September 26th. Thanks for your support Carol! Thank you so much for your efforts to bring attention to the importance of situational awareness. I have dedicated 10 years of my life to the study of this topic. If your readers would like to learn more about how to develop and maintain situational awareness, I have included a link to my website were they can read over 350 articles all dedicated to various aspects of situational awareness development and issues related to it. Dr. Gasaway, we know you are one of the leading authorities on situational awareness and we appreciate your support! Thank you! Hello Pretty Loaded and keep up the great work! I just left the business as a CCW/Firearms/Less Lethal instructor. I’ve trained over 3,500 students and was in the business for 9 years and a big emphsis was with women self-defense. This comes from a 38 year married public safety professional with three daughters and two granddaughters! I covered situational awareness heavily, it has saved me on a few occasions including two men who were going to rob me at a self-service gas station at 4:30am in the morning. 1. Before you leave your house in the morning, establish a distance in feet/yards where you must be aware and able to spot anyone or anything coming at you from all angles… including above. I typically told my students to start with a minimum of 21 feet (we know what this is), and better if it’s out to 50 feet. 2. If you are able to spot anyone or any potential danger before it get’s within your personal space, X Marks the Spot! You did well with situational awareness. Mark the X on your calendar to remind you, you did good. 3. If you are NOT able to spot someone/something before they get within your personal space, and especially if they were able to surprise you, give yourself an O, for ‘Oh Cr@p!’, I should have been more aware of my surroundings! Put the O on the calendar as well. As you ‘practice’ more and more, you will become more and more aware of your surroundings. I’ve had some students tell me when they started, they had lots of O’s, and as time went on, they would get one or two O’s. Great exercise to use. Thanks for sharing Rick!